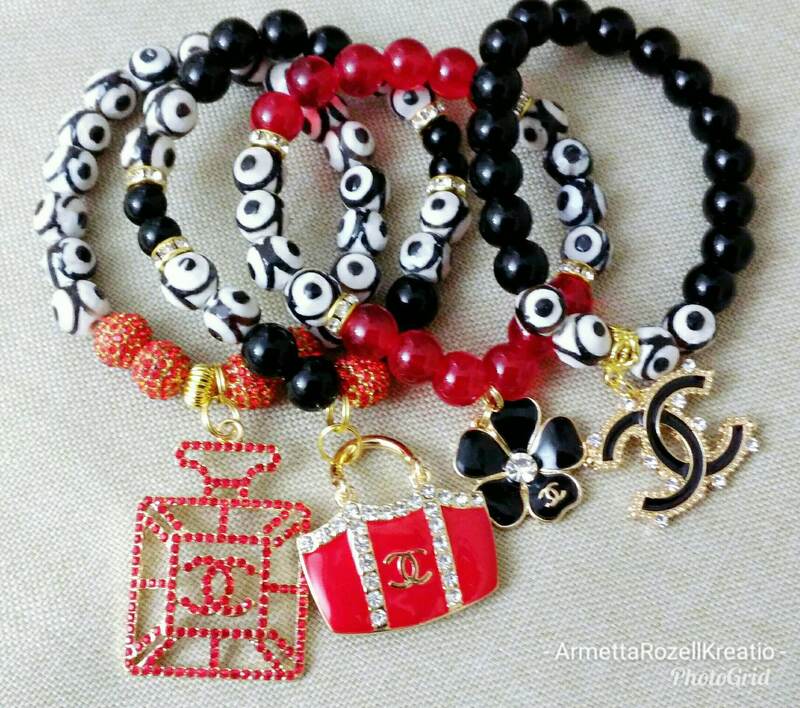 This is a handmade beaded charm bracelets made of mixed clay beads, glass beads, Rhondelle Rhinestone spacer beads, tassel charm, Stone Charms and rhinestone alloy charms. 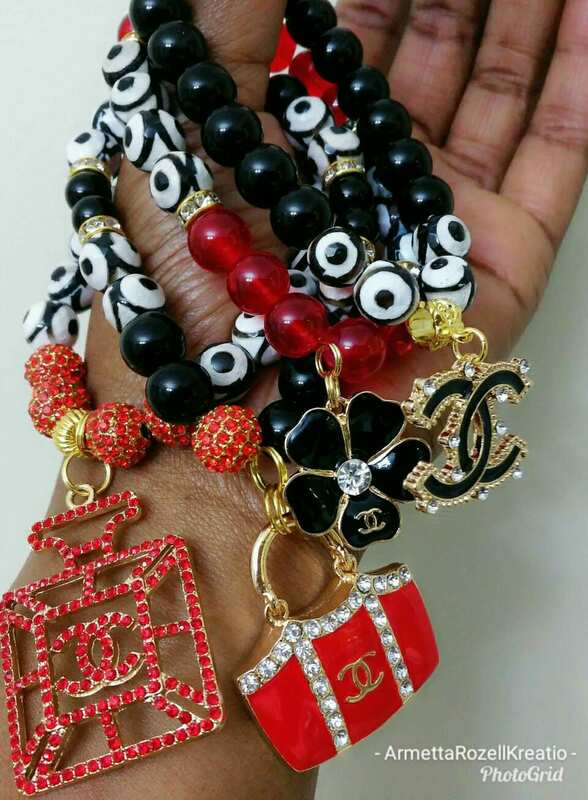 Custom orders are accepted upon request by contacting me at: shakiransampson [!at] hotmail.com Please allow 7-10 days for custom orders. 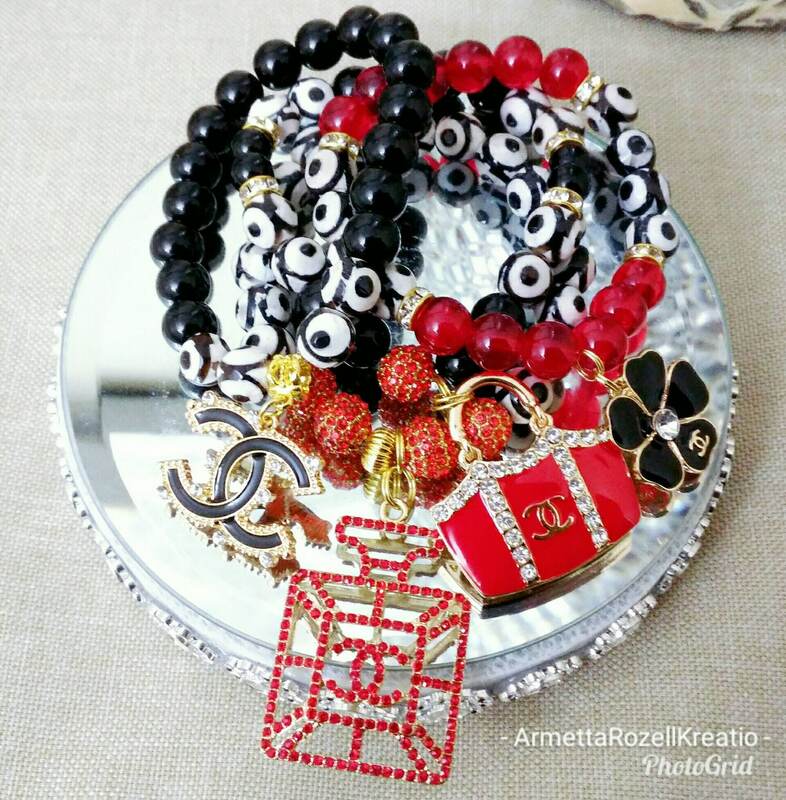 Set includes 4 stretch bracelets. 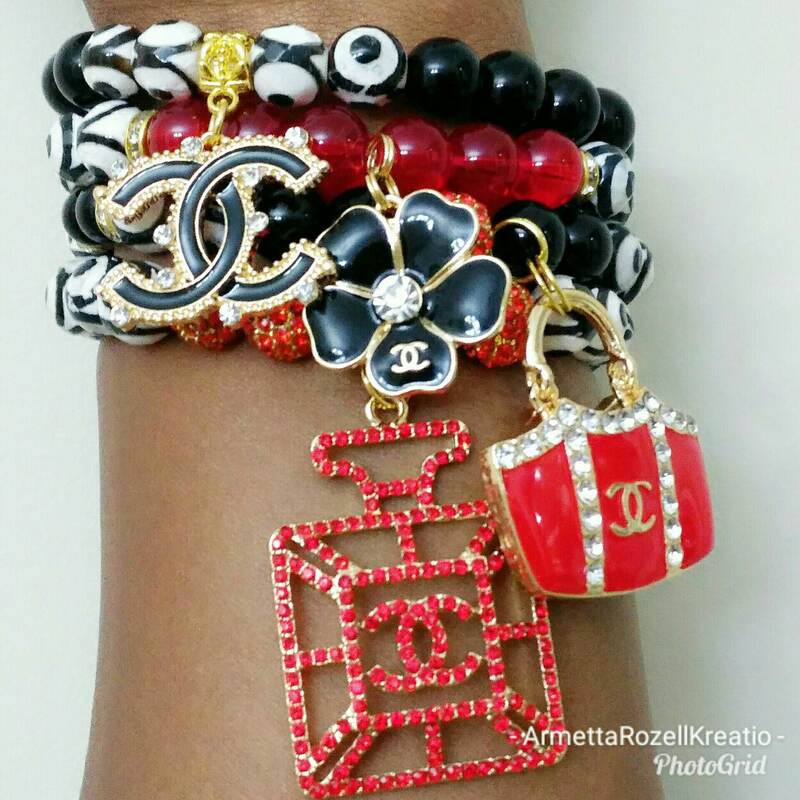 All bracelets were created using high quality stretch cord to fit wrist size up to 7 1/2.